Sorry I have had to do this but I have added that word verification thingo to my blog because the spam I have been receiving this week has been ridiculous. OUT.OF.CONTROL. 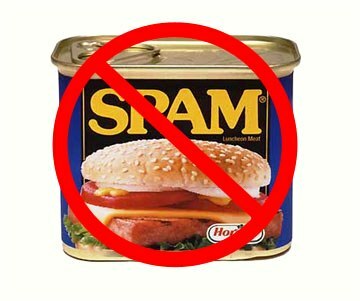 I will trial this for a while - hate it 'cos I think it is a pain but hate the spam more .. Any better ideas out there about how to contain the sods who spam and I would love to hear 'em! I hear you. I have had the one about home improvements lately on my blog. Bloody annoying! I get a few. Damn verification. Damn spam.